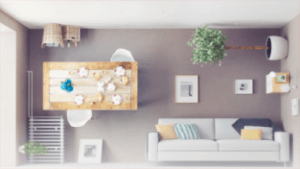 Break out beyond the standard wooden poles into less conventional materials and forms, and a staircase railing can do double-duty as a decorative focal point. 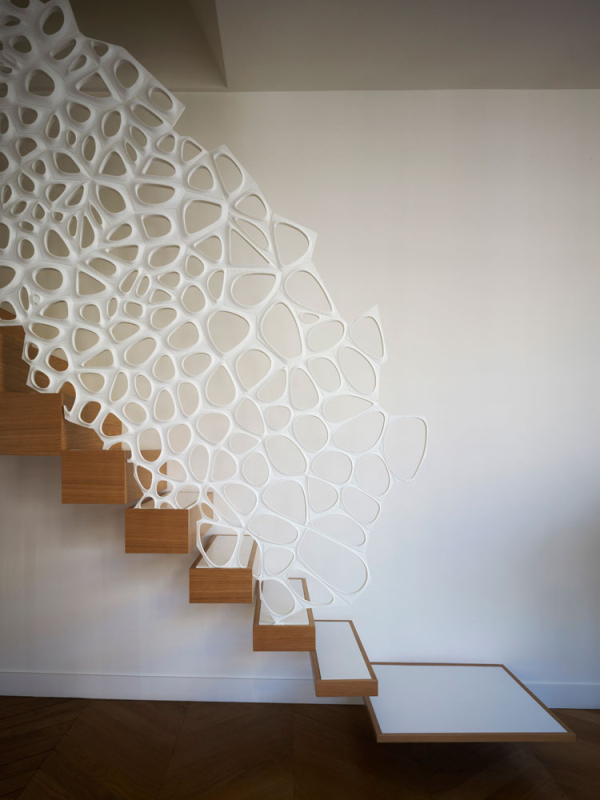 Designer Marc Fornes mimics cellular patterns in glossy white Corian with this machine-fabricated addition to a Paris apartment. 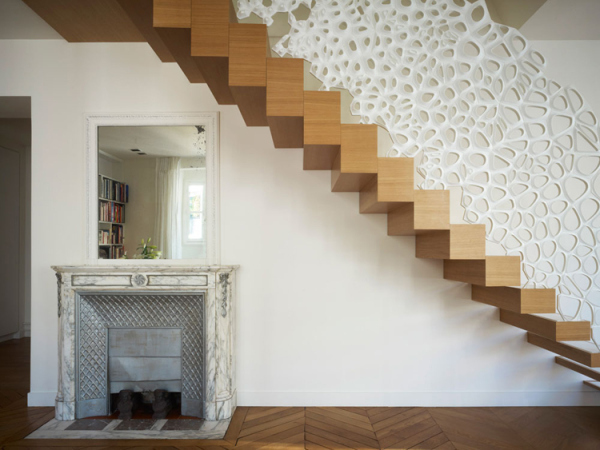 Creeping down a set of wooden steps that gradually get smaller as they head toward the lower level, the bubble-like framework of the railing similarly morphs in shape. 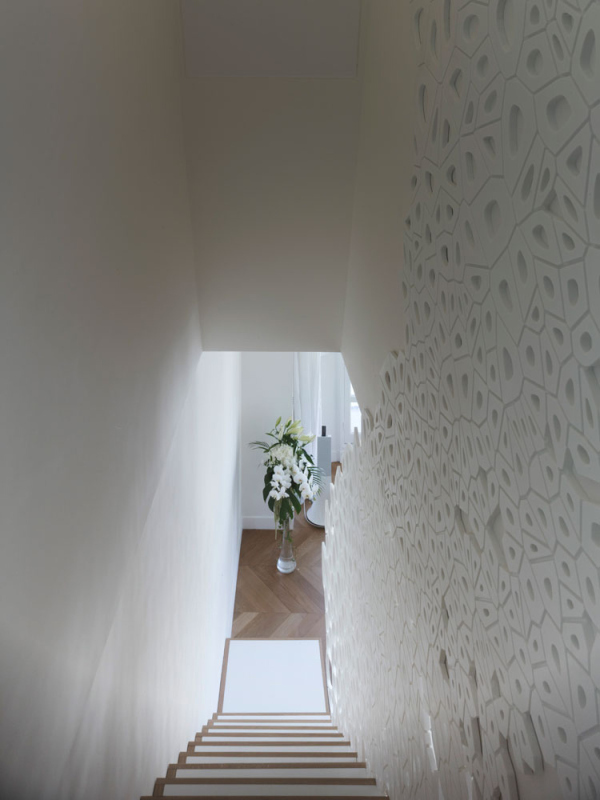 Both the stairs and the railing start out feeling solid and heavy; the steps get lighter and the openings within the abstract pattern grow larger. This lends a sense of airiness to the bottom portion of the staircase, down to the last few floating platforms. 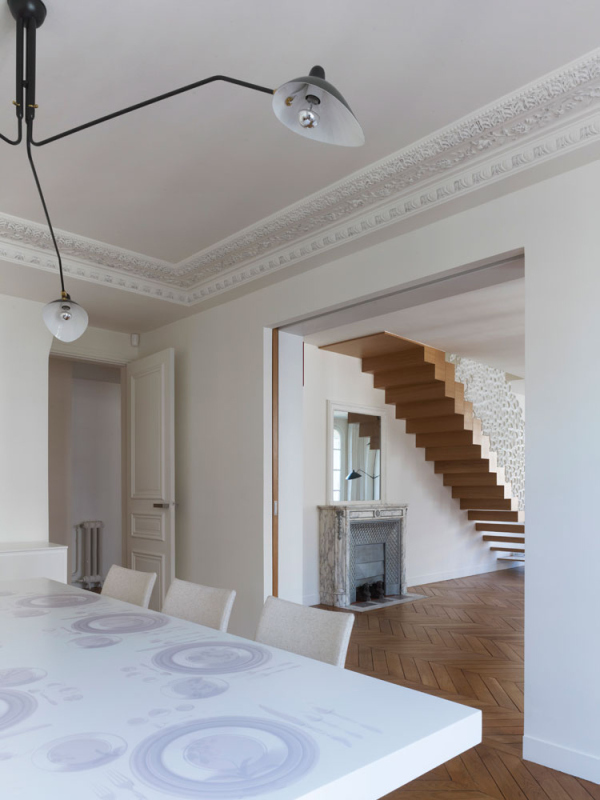 This sculptural form visually expands the space, balancing out the enclosing effect of low ceilings and small windows. Marc Fornes of New York design studio THEVERYMANY creates mathematically-based sculptural installations as temporary pavilions and wholly unexpected pop-up shop interiors, including a collaboration with Japanese artist Yayoi Kusama. Designed using computer software, his ornate, artistic structures are digitally fabricated using CNC machines.